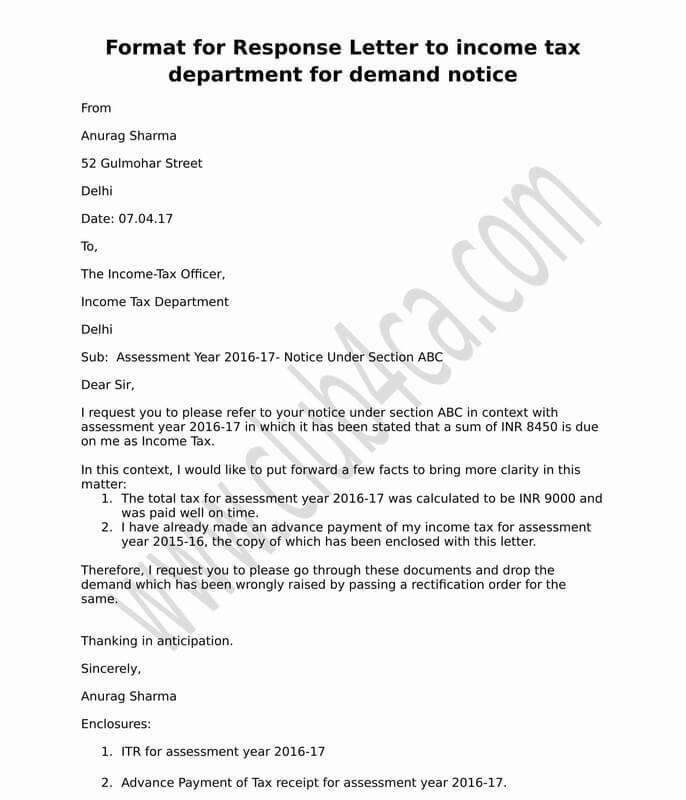 I request you to please refer to your notice under section ABC in context with assessment year 2016-17 in which it has been stated that a sum of INR 8450 is due on me as Income Tax. The total tax for assessment year 2016-17 was calculated to be INR 9000 and was paid well on time. Advance Payment of Tax receipt for assessment year 2016-17. I have received an intimation u/s143(1)(a) regarding mismatch between Form 26AS and my ITR.I want to pay the amount and revise my return as directed by the Tax Dept.Pl. clarify whether I should pay the amount under major head 0021-300(self assessment tax or 0021-400 (Regular Assessment). I Have received notice from sales tax department for difference turnover as per Income tax return & sales tax return . Please provided format of letter to apple to Sales tax Department. I want letter format for copy of assessment order to income tax officer.